Figure 2-S. Free Recoil Velocity for First 0.010 Second. curve shown in fig. 2-8. This curve will be used as the basis for the remainder of the calculations in this analysis. 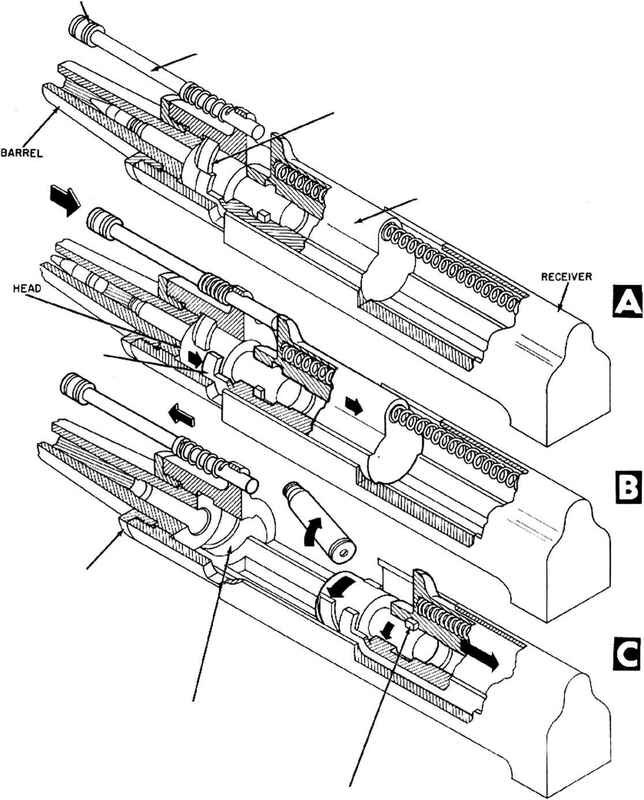 It should be noted here that the friction between the recoiling parts and the slide will produce ah essentially constant retarding force. If it is expected that the force required to overcome friction will be considerable, this force should be determined and subtracted from the average spring force computed by using equation 2-7. Ordinarily, however, the friction force should be small when compared to the average spring force of 450 pounds and for purposes of the present analysis, the friction force will be neglected.